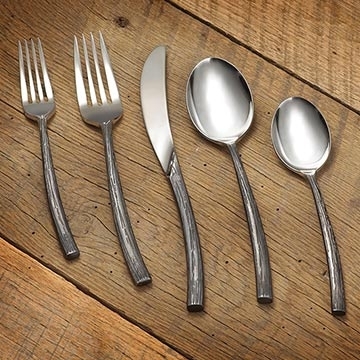 Cardinal’s Chef & Sommelier Black Oak flatware pattern is perfect for use in rustic settings. The pieces in this pattern feature dark, bark-like handles with graceful, organic curves. The elegant and weighty feel finds a perfect fit in any hand, while the design reflects the beauty in nature with style and grace.